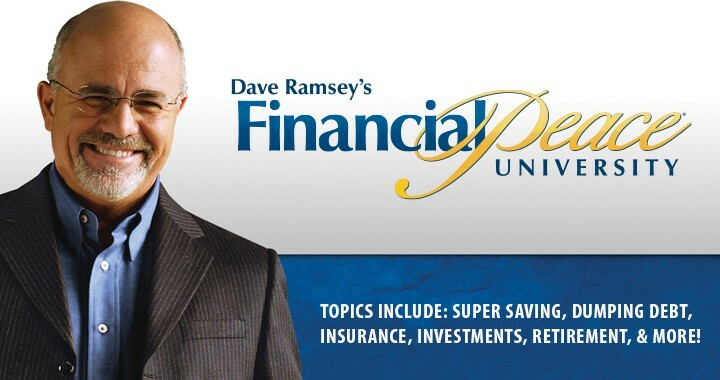 Oakland is hosting the FINANCIAL PEACE UNIVERSITY! Cost: $93 per couple, which includes all books, materials, and a lifetime membership to the F.P.U. REGISTER ONLINE or call the office, 919-934-5476 to reserve your spot today. Posted in Events and tagged Clayton, Dave Ramsey, Debt, Financial Peace University, Generosity, Give Like No One Else, Gospel Shaped Finances, Jesus, Money, Peace, The Good Book.